Planned neighborhoods have been popular around Edmond in the last decade and Auburn Meadows is one of the best. 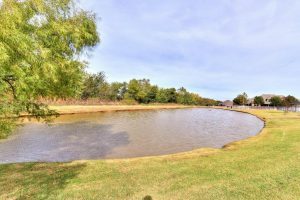 Just west of Twin Oaks and south of Mulholland, Auburn Meadows is a quick drive away from the city along Edmond Road, which runs along the south of the community. With wonderful amenities and a beautiful location, it’s not a surprise to see that Auburn Meadows has become one of Edmond’s most sought after communities. 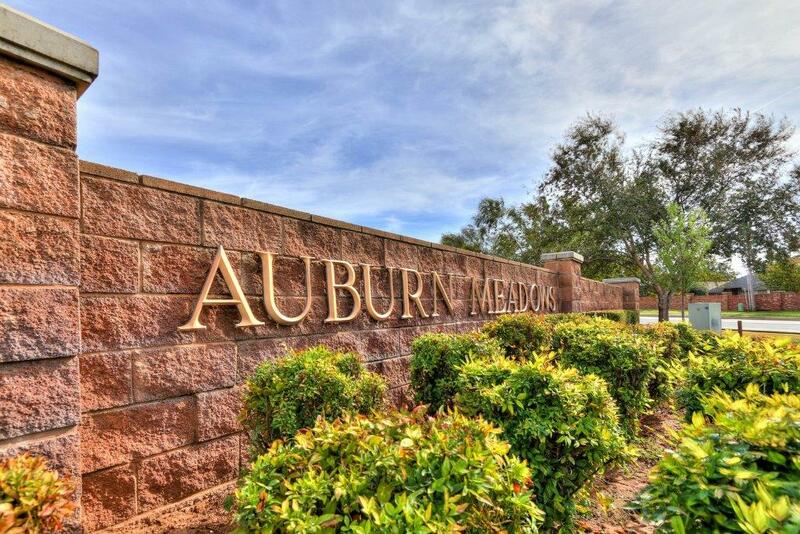 Click here to see available homes in Auburn Meadows neighborhood! Auburn Meadows is a planned community of large estates just outside of Edmond. The houses here all underwent careful development during the planning phase to provide the most sensible layout for large families. Multi-car garages and large yards are the norm for these estates that were built with the finest construction. This guarantees any investment into the new home will not result in unplanned renovations or upkeep after moving in. Auburn Meadows has a reputation for elite living standards and the houses are a reflection of that. The neighborhood is private and quiet, a community that is perfect to come home to after a long day in the city. If the bigger estates in Auburn Meadows are too large or pricey, there is a second option. Just outside of Auburn Meadows is where you will find the Villas. This residential section contains smaller homes at a more modest cost, perfect for families who don’t need the extra rooms or space in the homes found in the core community. These houses average 2-3 bedrooms and bathrooms and share the same aesthetic and atmosphere of the main area with the added bonus of having access to the community pool. The homes share the same level of quality construction and planning. The only main difference is the size and the cost, allowing access into the community for buyers on a smaller budget. The area was planned in advance to contain several amenities that are free of charge for locals to use whenever they please as part of the HOA fees. Auburn Meadows goes out of its way to be family friendly, so where would it be without a playground? The park and playground are perfect for children to get some exercise and play freely without parents needing to worry about where they are or who is with them. This level of security is one of the benefits for parents in the neighborhood. Adults can enjoy the pool and the fitness room to make sure they get the same amount of exercise as their children. There is also a serene pond in the neighborhood, the perfect place to bring a book and get some fresh air. Auburn Meadows strives to be inclusive and the Home Owners Association is a reflection of that. The men and women involved actively attempt to get all the residents of the community involved with decisions and planning, making sure every voice is heard and all residents have a say in their neighborhood. The group plans many annual events to keep the families living here entertained and to make everyone feel like they are part of their community. 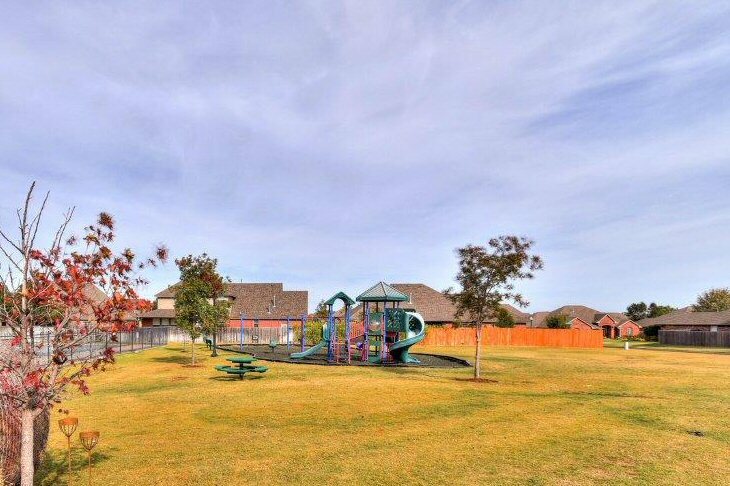 Nobody can get away with not knowing their neighbor here, so if you are looking for a place near Edmond that has the sensibilities of a small town but with the amenities of a big city, consider Auburn Meadows. Just a short drive away, at the corner of 178th and Western, is the closest commercial area. This is where children in the community will travel to attend school at Washington Irving Elementary School and families can head to enjoy a meal out at The Sushi Bar or Louie’s Grill & Bar. This strip of businesses has a pharmacy, liquor store and several coffee shops and pizza places for a quick bite or a drink with friends. Other schools in the area include Cheyenne Middle School and Santa Fe High School. Are you thinking about buying a home in one of Edmond’s many communities but aren’t really sure what sets them apart from one another? With the popularity of planned neighborhoods in the outskirts of the city it can be difficult to decide between them. Which one of them is really right for you? The Sikes Team understands that buying a new home can be one of the biggest decisions of your life and we strive to take the stress out of a stressful situation. We help first-time home buyers find real estate in and around Oklahoma City and we do it in a low-pressure environment. We will never pressure you into making a decision you are not 100% certain about. With The Sikes Team you will have all the time you need the make a choice that’s right for you.